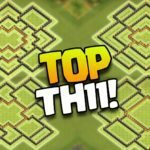 Hey guys, today I am very glad to introduce to you guys this brand new dazzling Town Hall 9 Clan War Base which was designed by me! 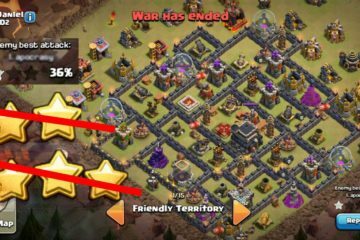 I strongly think that all Town Hall 9 base designs can be 3 starred, regardless of how good they are, particularly those which are not fully upgraded. 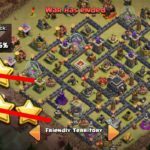 So, don’t be disappointed If you get 3 starred while using this layout. Take a look at your enemy troops and his strategy before posting a negative comment here. This is the most astounding features of this layout. It allows you to control the flow of an opponent troops when they get through the base. 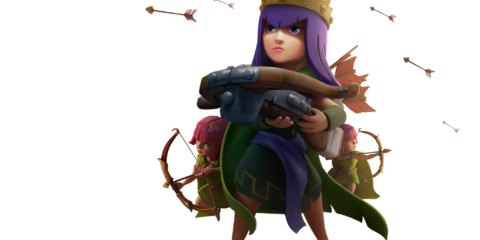 By understanding the predictive pathings, you can easily focus high DPS defensive buildings along the pathings exactly where opponent troops will always travelling through. 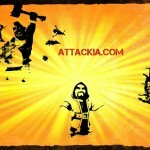 This will also create a higher chance that the attacking troops will activate all traps nearby. If your traps can’t be activated after some raids, it’s such a big flaw which should be fixed. Tesla Farm is among my personal favorite defensive features as it can deal enough damage per second to kill Hog Rider at the same time they are being healed. All 4 Teslas are placed near enough so they can very easily hit the same target, but, they are also well placed in three separate compartments, this makes it quite hard for the attacker to clear out them all simultaneously. Giant Bombs are well positioned inside the core. They are nearly can’t be triggered by the Kill Squad. Throughout my tests, most Hog Rider attacks are unsuccessful due to the core Double Giant Bomb. You can easily take a look at some defense logs below to see how helpful it is. This really is a nice add to the kill box, not only against Hog Riders but also Valkyries and P.E.K.K.A. I just can’t find any much better spot in this base to put them in. 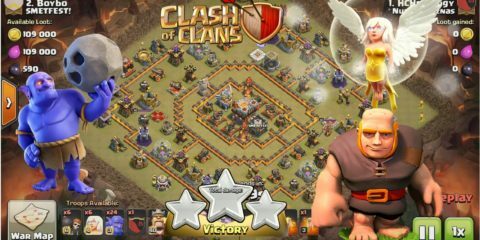 This will force the attackers to make use of mere troops to mitigate the Clan troops If they don’t search properly before raiding, or, force them to launch the primary Kill Squad when they are not ready. 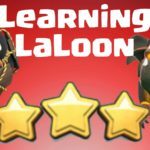 I have found some superb defensive Clan troop combinations working extremely well with it and you should definitely give them a try!